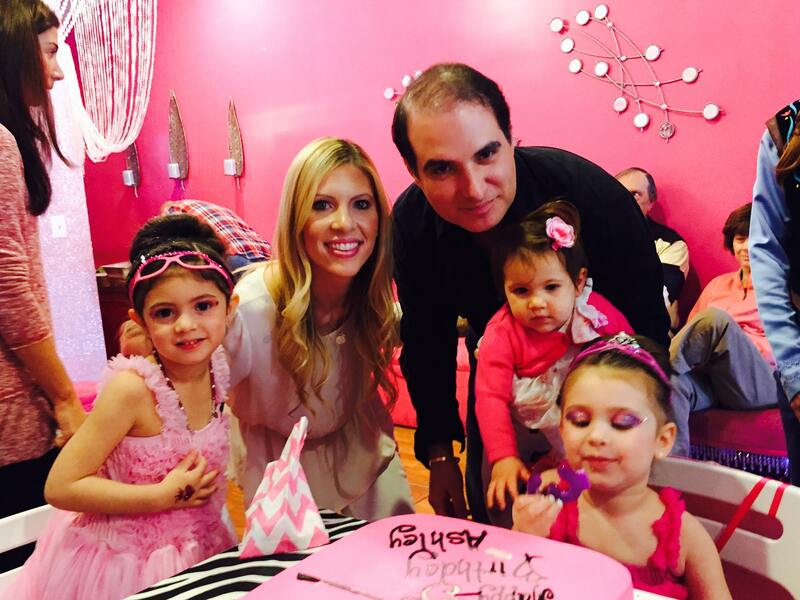 We just celebrated Ashley’s 3rd birthday. 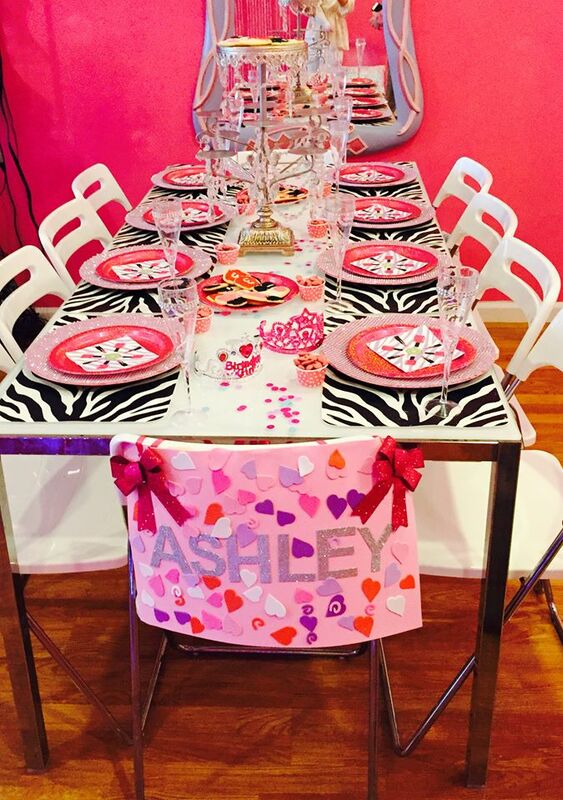 And of course, she requested a glamorous spa birthday party. 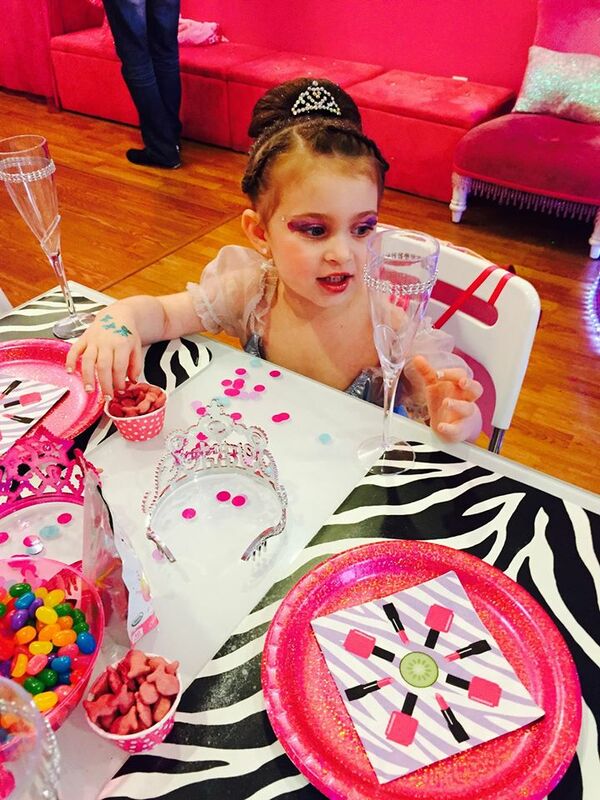 She also wanted Anna and Elsa to be there, and… candy. She wanted lots of candy. 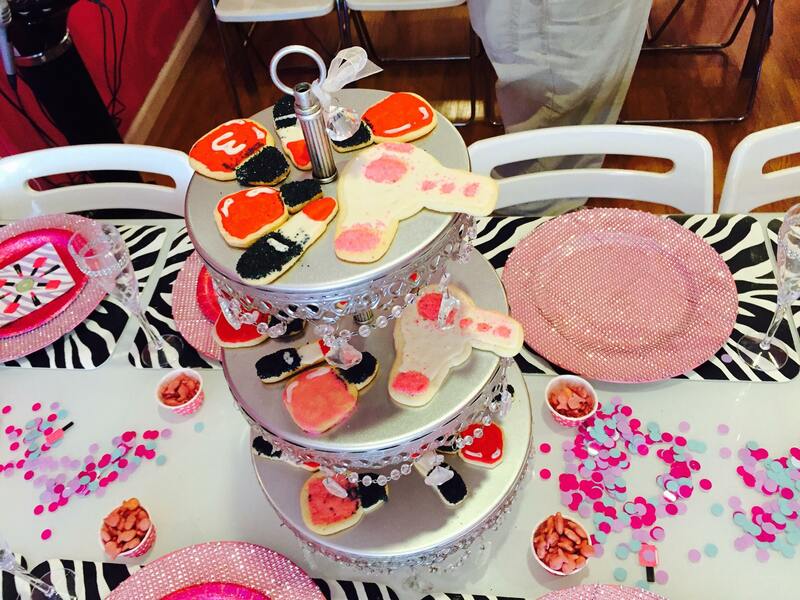 Whew – a tall order for a little girl, but I was determined to make it happen for her. 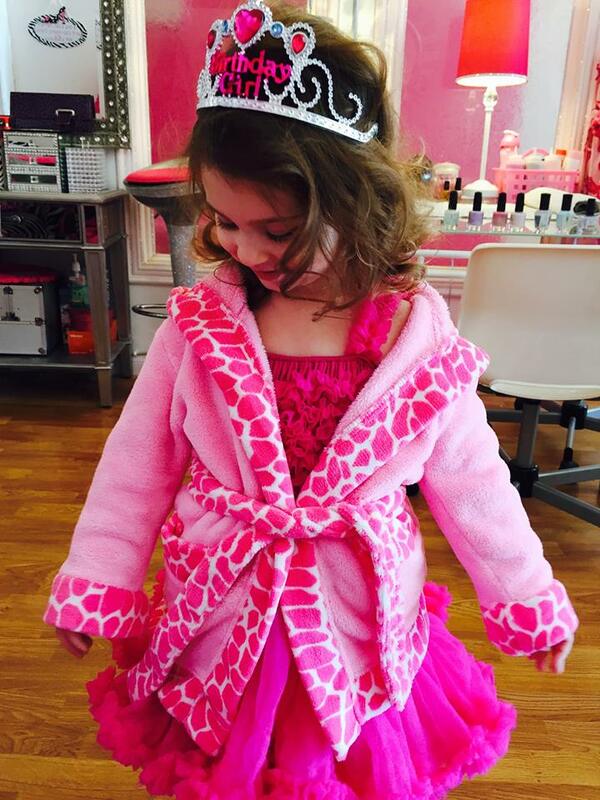 As the little guests arrived at the sparkly pink kids’ spa, they each put on a fluffy robe with a princess, rock star or pink cheetah design. 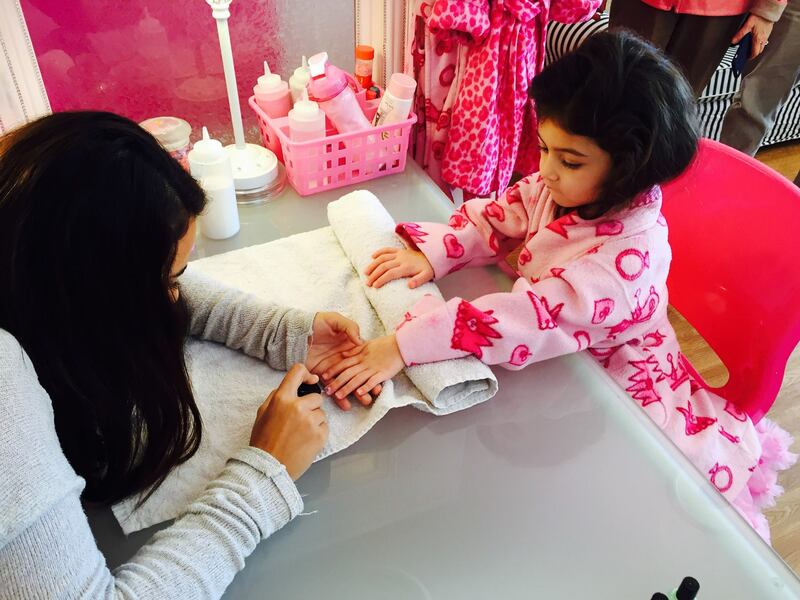 There was plenty of pampering for the girls. There was a nail station where each guest chose their nail color. Glitter was then dusted on top. Everyone had sparkly little fingers. 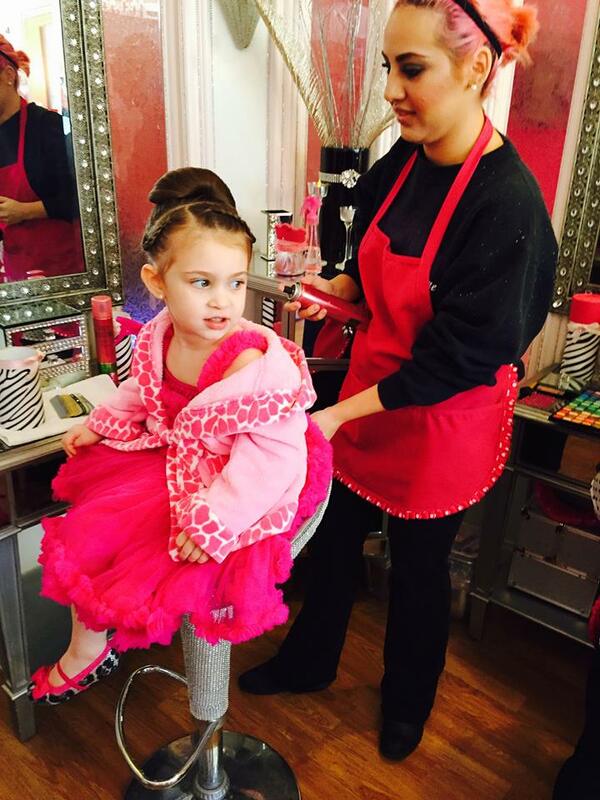 There was hair station, where the girls could get princess up-dos and braids. “Do you want sparkles to finish it off?” Ashley looked at the lady like that was a silly question. Absolutely she wanted sparkles. 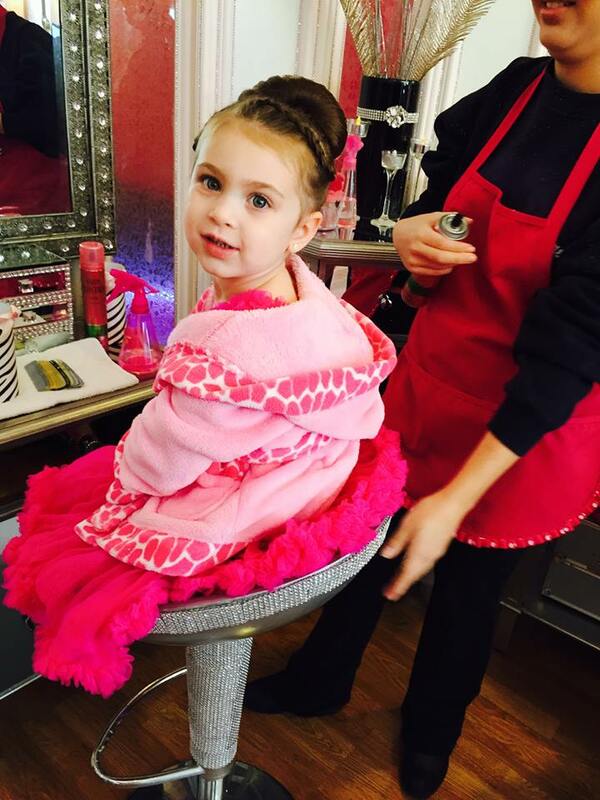 Since she was the birthday girl, she also got a special princess tiara to finish off her hairstyle. Makeup was another service offered to the girls. It was minimal, since the girls were only three-years-old, but still enough to add to the dress-up fun. And little rhinestones were accented on the corners of the girls’ eyes, which made them feel ultra-glamorous. 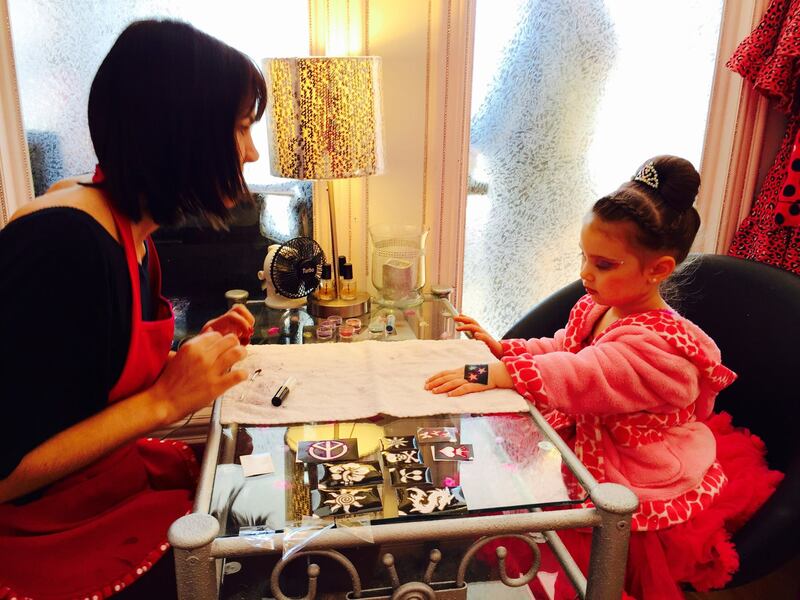 In between circulating around these beauty stations, they could also stop by and get a sparkly glitter tattoo. These were done in the spa chairs, as well. Hailey and Ashley each chose one tattoo to go on each hand, as one simply wasn’t enough! There were also headbands for the girls to bling out, which they could then take home with them. And after the girls finished with their beauty treatments, the dress-up center came out, and they could each choose a princess dress to wear. Ashley chose a Cinderella dress, and Hailey chose an elegant floor-length dress that looked like one of Princess Aurora’s dresses. Ashley requested candy. She is definitely a sweets girl. So I set up a candy buffet for her friends with little treat bags so that they could take some home, or enjoy it during the party. Although i’m sure she would have been fine if we had nothing but candy, I think the other moms would object to lollipops for lunch! Since almost every single kids birthday party has pizza, I could not do pizza. At this point, it is just so expected and b.o.r.i.n.g. We brought in some yummy Mexican food for the kids and their parents to snack on. Quesadills, taquitos, burritos, Mexican rice, quinoa salad, and chips with guacamole and salsa. It was a big hit. We also put a cute polka dot paper snack up at each place setting filled with, wait for it, pink goldfish! Many moms kept asking, “Where did you find pink goldfish?” While they were expecting to hear me say that I had hand dyed them, or found them on some exotic website, I actually found them at Target. Isn’t Target the best? So, let’s talk decor. 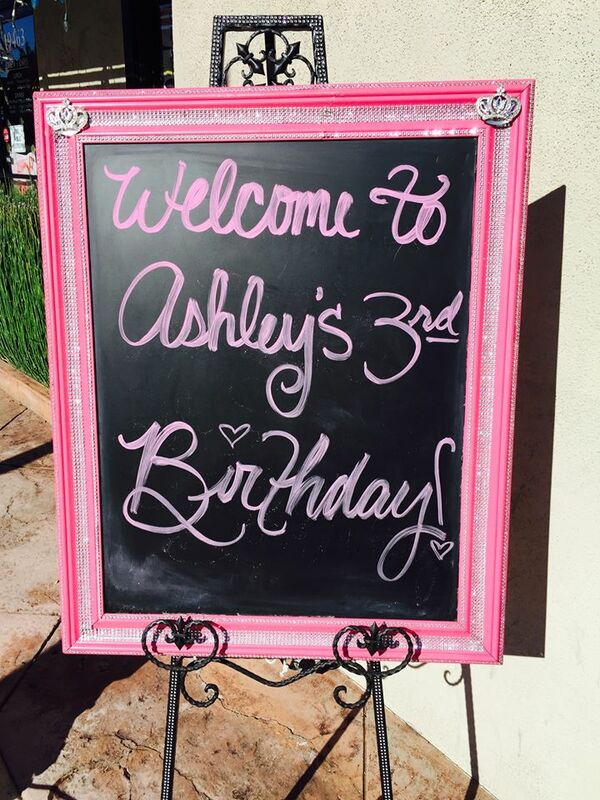 Outside the girly spa was a chalkboard sign welcoming everyone to the party. The spa was already fancy and blinged-out , so fortunately, I didn’t need to do much to make it look fantastic. There was rhinestone fabric on the walls, and a curtain of gemstones hanging behind the little kids’ stage. I made a Happy Birthday Ashley sign, which we hung directly behind the stage, and Ashley helped me make a sign to hang on the back of her chair. She put about a gazillion heart stickers on it. It was perfect! 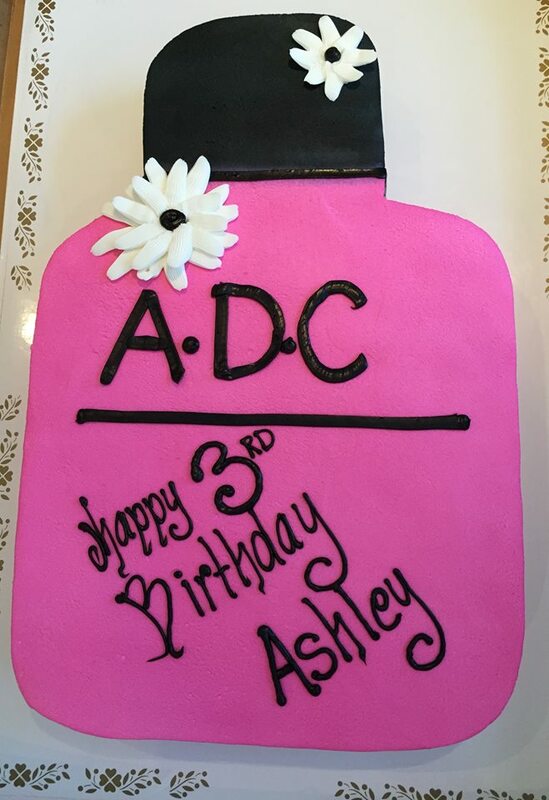 The nail polish cake was an airy yellow cake covered in pink and black whipped cream, and filled with chocolate whipped cream. Yum! 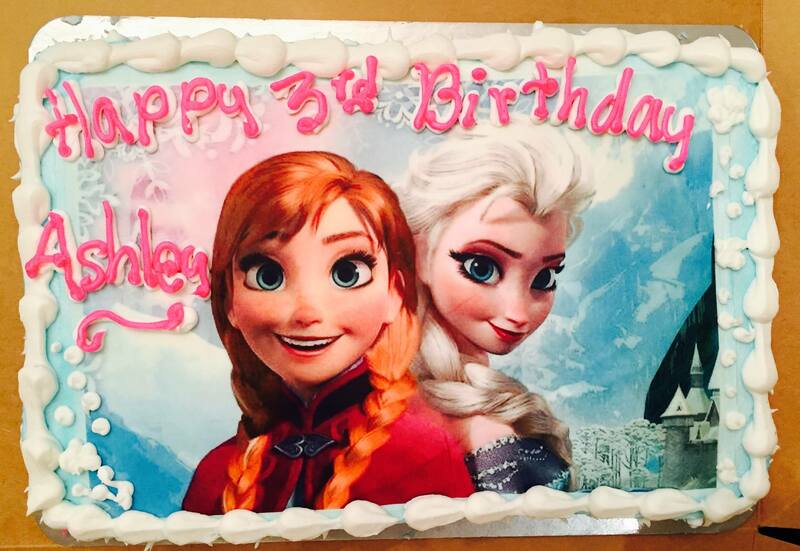 Like all little girls, Ashley is obsessed with Frozen. 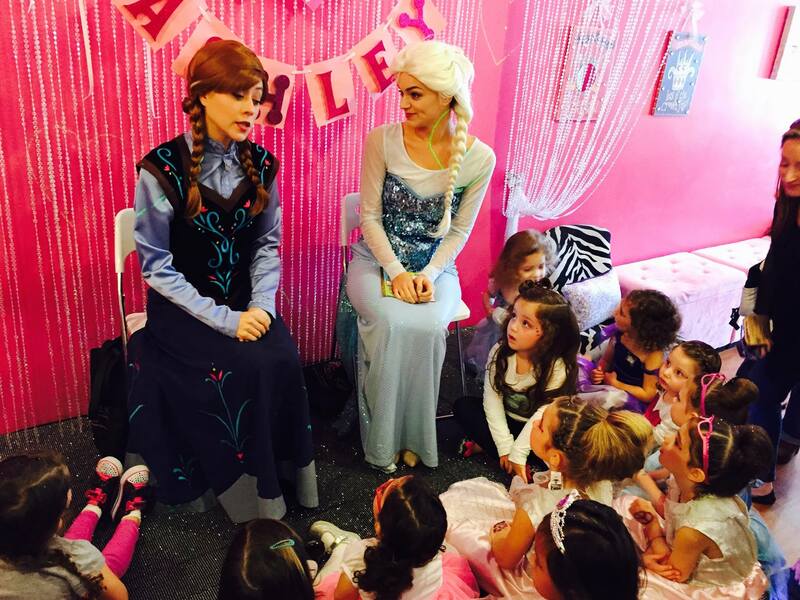 So, of course, Anna and Elsa came to celebrate with her and her guests. They read a story, sang songs, played a trivia game and even helped serve cake. They were a big hit. 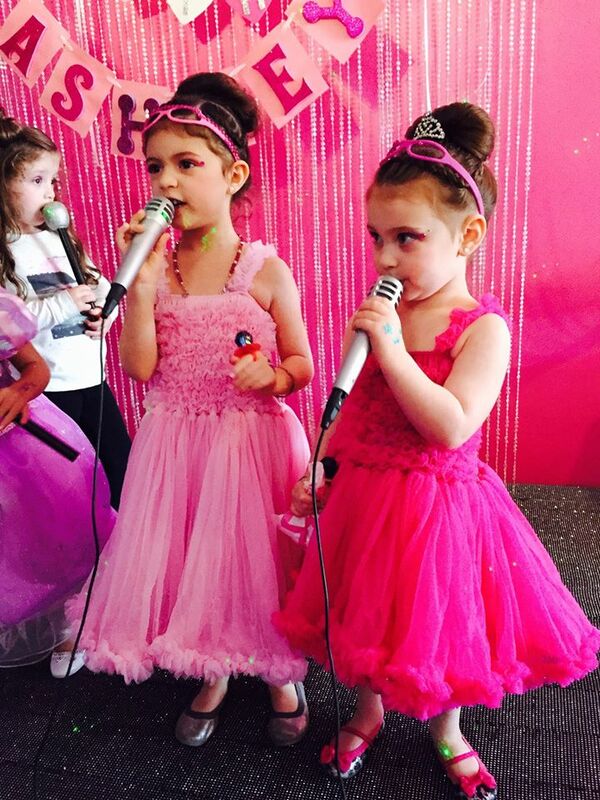 They ended by singing with all of the little girls on stage. Yes, there was a stage! Everyone got to hold their own microphone. It was pretty fantastic. All of the girls knew all of the words. As the guests left, they each received a spa-ctacular party favor filled with spa and Frozen-related goodies. My personal favorite item was the blinded out lipstick pen. Now what girl doesn’t need one of those?! 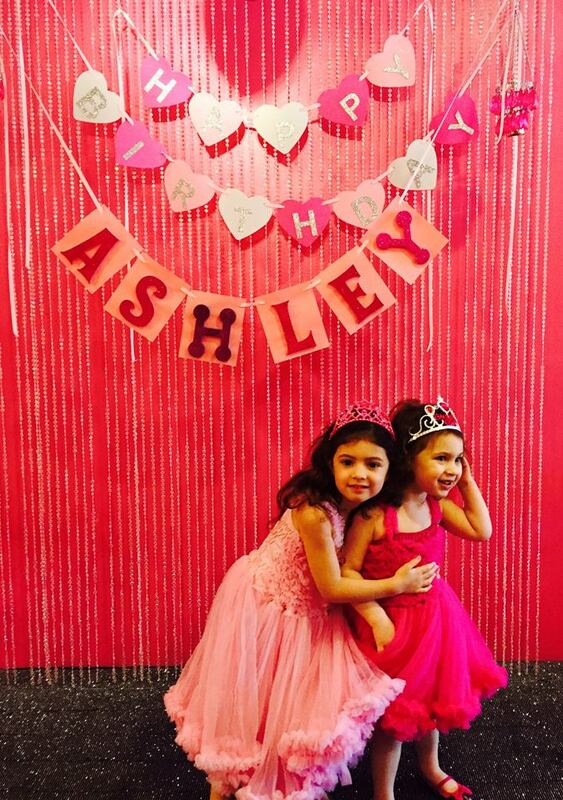 Ashley had so much fun at her party, which was the most important thing. As far as I’m concerned, I still can’t believe that she’s already three! And after the party, well, why not have another birthday cake? !